Host summer-inspired parties for pet owners and their four-legged friends, complete with pet-friendly refreshments. By entertaining both pets and their owners, you not only show current and prospective customers that your services go beyond quality pet care, but that your business values the bond between owners and their animals too. Offer special savings during the summer to keep pets feeling refreshed in the hotter temperatures. 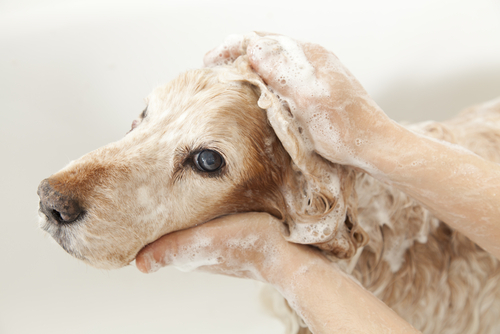 Considering pets need to be fully groomed every one to two months depending on the breed, help their owners out by saving them money on your services. Not only will pet owners be satisfied with the value they receive at your business, their four-legged friends will be too. Pets have a multitude of needs, and their owners do too. With 45% of people taking their vacations during the summer, the demand for pet boarding increases dramatically. If you’re solely a pet grooming business, consider expanding to include boarding capabilities or hiring an on-site pet trainer. By offering your customers a variety of services for all their pet care needs, you eliminate the need for them to take their business elsewhere.